The Volt will only use gas to recharge its electric battery, helping it get 230 miles per gallon, according to GM sources. The Chevy Volt, GM's much anticipated electric car, will be a sipper, not a guzzler, getting an astounding 230 miles per gallon in the city, the company said. 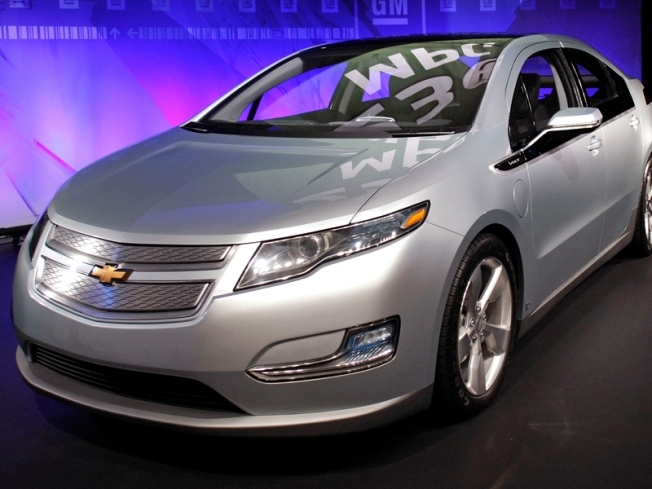 The Volt runs on a battery that can be recharged by its 1.4-liter gasoline engine. That will allow it to top Toyota's vaunted Prius by more than four-fold, according to Bloomberg News. The 2011 Volt is due out next year and will cost around $40,000. GM CEO Fritz Henderson announced the rating and combined city-highway mileage of more than 100 mpg Tuesday at GM’s technical center in Warren, Michigan. But some experts said the claim, using a new federal Environmental Protection Agency formula, is misleading. The Volt will be able to go 40 miles on a single charge before the gasoline engine kicks in to recharge the battery. The in-city claim likely means drivers are going fewer miles between recharging, so it's no wonder little gas is used, they say. GM is banking on the Volt as it tries to remake itself following a short stint under bankruptcy protection.